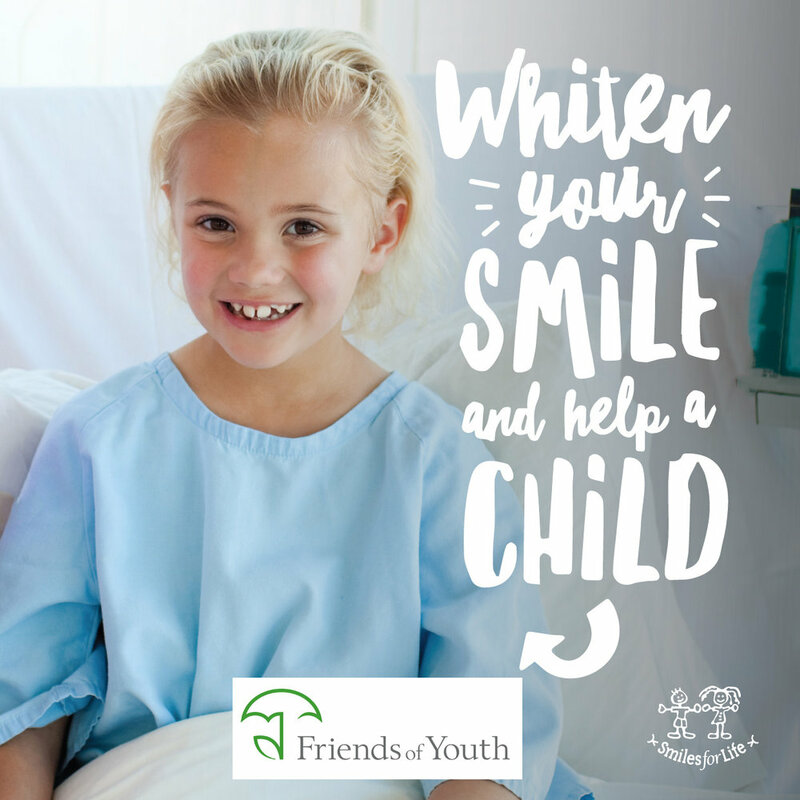 MARCH THRU JUNE our practice is raising donations for children’s charities through the Smiles For Life program. We’re honored and excited to participate in such a worthy cause! 100 percent of the donations we raise go to the Smiles For Life Foundation to benefit children in need, with 50 percent benefiting a local charity of our choice—helping kids in OUR community. The local Charity that we are supporting is Friends of Youth. Since 1951, Friends of Youth has been helping young people in challenging circumstances get their lives back on track. Today, Friends of Youth positively impacts over 5,500 youth and young adults ages 6-24 and their families each year, operating facilities and programs at 25 sites in 18 cities across the Puget Sound region. In addition to operating the only overnight youth shelters on the Eastside, they offer youth development initiatives, in-home family support for young parents of newborns, parent education, youth and family counseling, substance use counseling, therapeutic foster care, residential treatment and transitional housing for homeless young people and teen mothers. It’s easy for you to be a part of it! Making a whitening appointment with us today. Spread the word! Whether you choose to have your own smile whitened or not, you can make a HUGE difference by simply sharing this opportunity on your social media accounts, such as Facebook!If you’d like to join us in this fantastic campaign, give us a call today! Thanks for helping us support this great cause!